As soon as I came across Wintersong online, I knew I had to get hold of a copy ASAP. Marketed as being a loose retelling of Labyrinth (one of mine and my husband’s favourite films) aimed at a more mature audience, I couldn’t wait to read this, and was thrilled to not only receive an ARC of it but also be able to be a part of the blog tour! Wintersong was released yesterday and I would highly encourage you all to go and pick up a copy. Today, I’ll be sharing with you a little insight into the mind of S. Jae-Jones (aka. JJ), author of Wintersong, on a topic close to my heart – favourite literary villains. Melisande is one of my favorite characters full stop. What I love most about her is that she isn’t driven by evil or megalomania; she’s a villain because she likes to play games. The prize she’s set for herself is the throne of Terre d’Ange. Matching wits with Melisande is like playing against a chessmaster; she’s always several moves ahead. Yet despite her cool, calculating mind, she’s rather a good sport, acknowledging when she’s been beaten at her own game. There’s no active malice in Melisande, but she is completely terrifying nonetheless, and I love that about her. The Darkling could have easily been the tortured romantic hero in a different series. He’s brooding, he’s tortured, he’s vulnerable, and he’s so, so broken. Yet despite all this, he’s still a selfish, horrible person, and I love that Bardugo resists softening the Darkling’s edges to make him a palatable potential love interest for Alina. 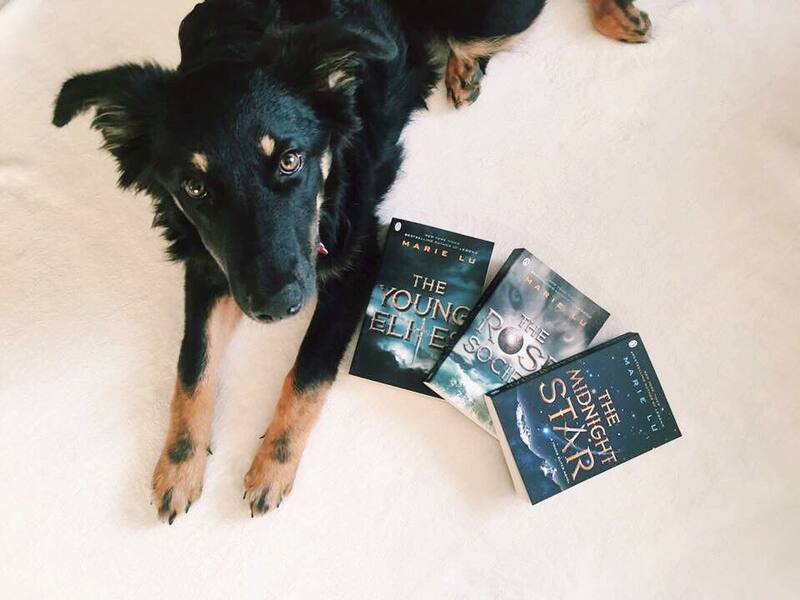 I love the Darkling because he’s all wrong, and I love that I love he’s all wrong. There is a common thread through nearly all my favorite female villains: they are evil in their subtlety and complexity. Mrs. Coulter fascinates me because she’s amoral and completely selfish, yet also charming and charismatic. Even her love for her daughter seems to be an extension of her selfishness. Despite this, despite an entire life lived for power, she commits an act of ultimate selflessness, and this dissonance is what makes Marisa Coulter an amazing villain. I will admit that some of my visceral reaction to Dolores Umbridge is personal. I was educated at an all-girls’ school, and for my first three years, I had a very McGonagall-like headmistress (down to the tartan print!). But in my final year, we had a new headmistress when the previous one retired, and this new one was Umbridge-like in every possible way: a toad-like face, affected girlish voice, and a saccharine manner disguising a terrifying authoritarian philosophy. I think we all know an Umbridge, and the fact that she actually exists in the real world in some form or another is the most terrifying thing of all. 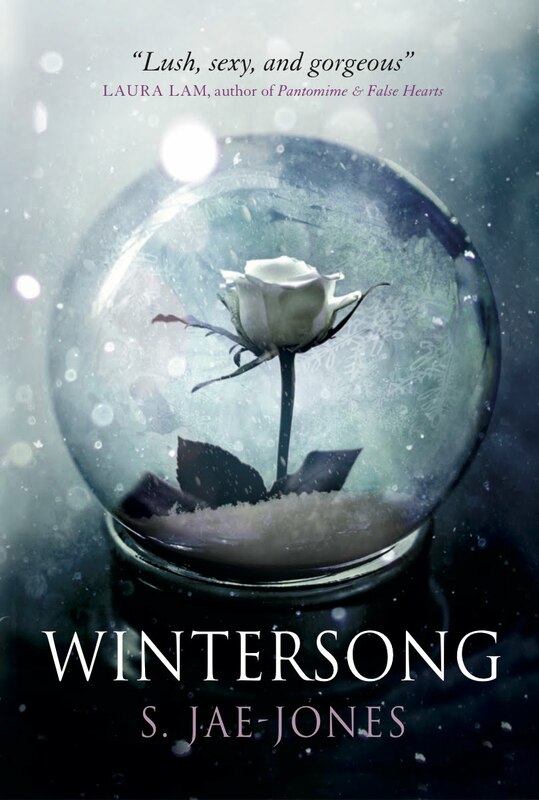 Read my full review of Wintersong here! S. Jae-Jones (called JJ) is an artist, an adrenaline junkie, and erstwhile editrix. When not obsessing over books, she can be found jumping out of perfectly good airplanes, co-hosting the pub(lishing) Crawl podcast, or playing dress-up. 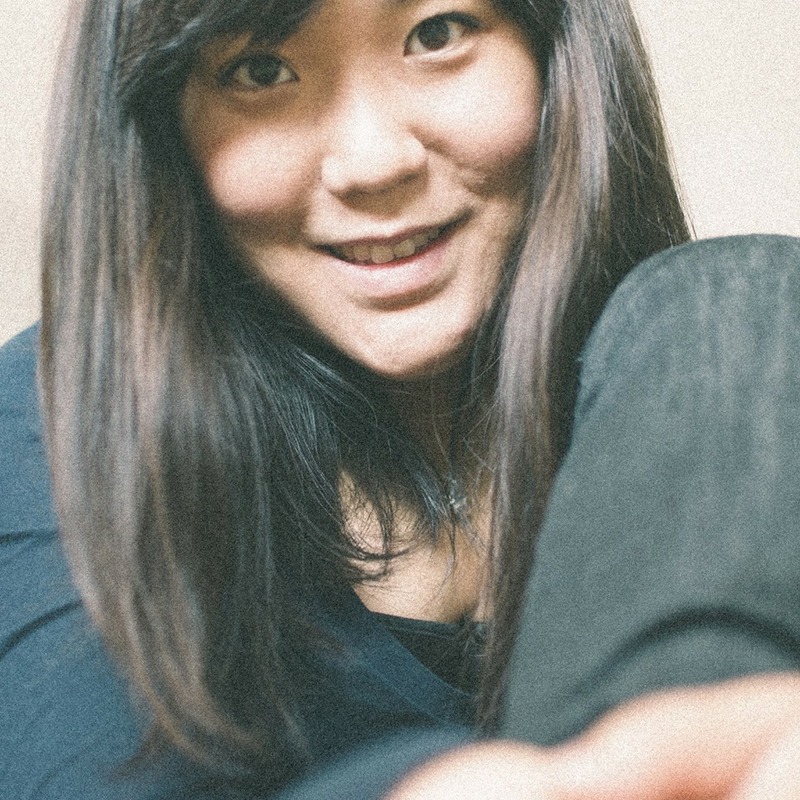 Born and raised in Los Angeles, she now lives in North Carolina, as well as many other places on the internet, including Twitter, Tumblr, Facebook, Instagram and her blog. Wintersong is her debut novel. Through my endless stream of tears shall I attempt to write a decent review. I have only recently heard of the Young Elites series and it was only last week that I bought the trilogy. I read them within three days – I have been obsessed. Although I was only in this world for a short amount of time, I will sincerely miss the characters, especially Adelina. I instantly fell in love with this world, the characters and the plots of all three books. It is unlike any YA series I’ve read before as it’s narrated primarily by the antihero. It’s marketed as a dark fantasy and it is exactly that and Adelina as a main character completely blew me away. I went into the first novel thinking she was just another YA character who finds out she’s special and joins this group of people and they all become best friends and save the world. Nope. I was far from right. 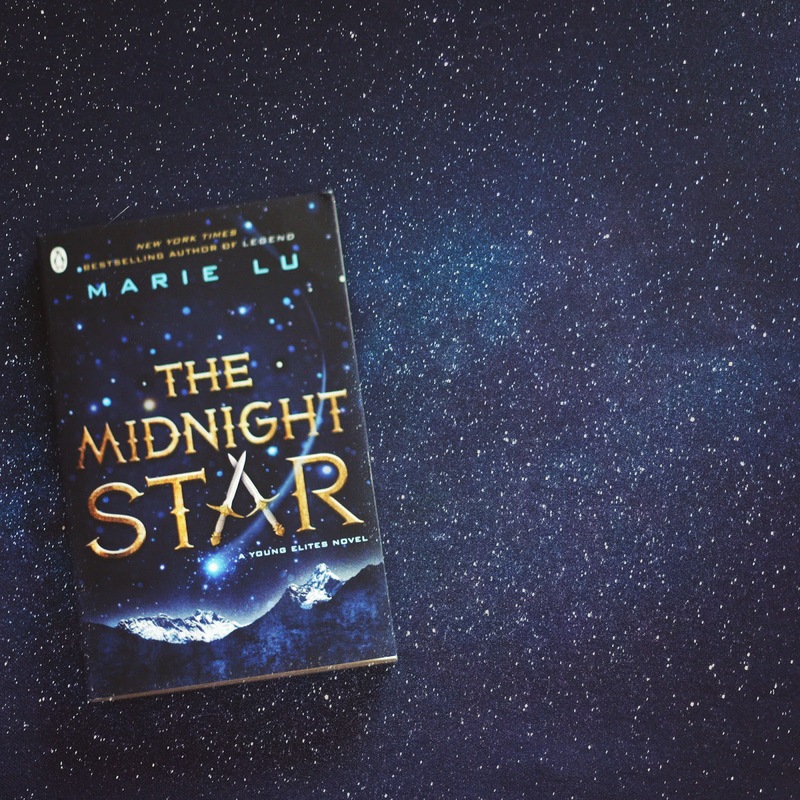 The Midnight Star takes place around a year after the previous book and Adelina has been a ruthless and cruel Queen, believing she must rule with fear and pain. Both Magiano and Sergio are by her side but her sister, Violetta has fled to join the daggers and beg them to help Adelina. Adelina and her Inquisitors have conquered countless cities, executed countless traitors and banned the term malfettos but countless attempts are made at Adelina’s life. In this part of the book, you feel as though you should hate Adelina but despite everything, she still manages to inspire empathy in the reader. Her power is rapidly making her lose control of her thoughts and illusions and she is constantly tormented by voices in her head. However, her goal remains the same, to conquer and put fear in her enemies’ hearts, including the Daggers – that is until Rafaelle contacts her. It seems the old friends must put aside their differences and help close the portal between their world and the Underworld before it destroys everything and the only way to do that is to sacrifice their powers. My favourite thing in novels is when a bunch of the characters have to come together against a threat (Six of Crows etc.) I’ve always loved this over solo missions with the main character. Adelina joining with the Daggers, alongside her crew and Queen Maeve and even Teren. I was so here for it. Teren went from a character I despised to a character who had a whole new side – just a boy who was forced to think of himself as an abomination driven mad by the idea he had to destroy others like himself. I’m not excusing his previous acts but this book gives him a whole new side, a step towards a redemption arc. We saw more into the budding relationships between Adelina and Magiano, Sergio and Violetta and Maeve and Lucent. If I wasn’t so scared of what was going to happen in this book, the lovey-dovey stuff would have melted me. In the space of this novel, Adelina goes through so much character development, she just tore my heart into pieces. If we take away the murderous tendencies, I see a lot of myself in Adelina. Half of the time you want to slap her and the other half you want to wrap her in blankets and reassure her. She spends the whole novel having intrusive thoughts, thinking everyone is against her and wants her dead and because of this, she tries keeping everyone at arm’s length. However, the White Wolf’s heart is ultimately good and just shrouded in darkness – she wants to be loved and accepted. She even becomes jealous when Queen Maeve’s men salute her and won’t leave without her. I feel proud of Adelina at the end of this series and happy that I got to meet her. That brings me to the ending – I didn’t like it. I must admit, at first I was okay with it and then a day passed and I became angry. Angry that one of my favourite fictional characters ended up the way they did, that everything they went through came to nothing. Not just this character in particular, but I wanted to hear more about the other characters more than just how their appearances changed. I know that death in literature is the same as death in life – it’s unfair, it doesn’t have to have a meaning but I felt as though this was just rushed and it could have ended better if the book had been longer. It’s rare that a YA series finishes the way I want it to and this is no exception but I still respect the author’s decision and this was still a truly amazing trilogy that blows so many YA work out of the water. It is dark, gripping and exciting and I’d recommend it to anyone.